Lord Ashcroft founded ADT City Technology College in south-west London in September 1991, one of few state funded independent schools at the time. Today it provides free education for more than 1,250 inner city children of all abilities and backgrounds. 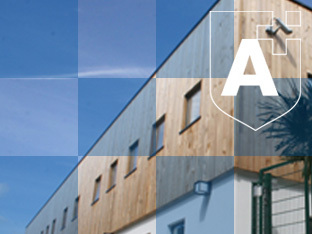 The school’s conversion in 2007 to the Ashcroft Technology Academy (ATA), as part of the Government-backed academy programme, has enabled it to continue building on the highly successful reputation of ADT College. The conversion and associated works utilised £15 million to upgrade and develop the facilities at ATA and its separate sports ground. ATA was also able to refurbish its auditorium, build a new sixth form centre and enhance its restaurant facilities. The academy programme provided for new changing facilities and an all-weather pitch at its remote sports ground; refurbishment of the on site PE facilities and other areas of the ATA as well as a new teaching block predominantly for performing arts. The new building also hosts a 16 place Autistic Resource Centre which Ofsted, the national inspectorate, has cited as an excellent pioneering scheme. A new administration block and main entrance has also been introduced. ATA has a strong and recognisable ethos. It is committed to 21st century technology reinforced by traditional values and high expectations. The school emphasises the importance of discipline, manners and respect as these qualities reinforce a healthy learning environment whilst also being important in adult working life. ATA believes that high standards should be a constant goal; that each child has skills to learn and qualities to be developed which will make the most of his or her potential. Their academic, sporting and cultural record is evidence of their success. Key Stage 3 and GCSE results are exceptional, being consistently well above the national average. There is the added incentive of an accelerated curriculum, enabling students to start studying at GCSE level in Year 9. This helps enable students to make informed choices for further education and ATA is proud to be able to offer prospective sixth form students a varied choice of A levels and Business and Technology Education Council (BTEC) courses. In recent years, ATA has also become an IB World School offering the International Baccalaureate Diploma as an alternative programme of study recognised by universities globally; one of very few maintained schools in the country to do so. ATA is ambitious for the future and continues to provide learning opportunities which are challenging and exciting for all its students. Valuing everyone as individuals, the school emphasises the importance of grasping opportunity, developing ability and celebrating success. It is ATA’s intention to develop young people who are adaptable, tolerant and want to work hard so that they can take their place in adult society with the necessary skills, confidence and self-reliance. In return, ATA expects full commitment from students towards their education. The contribution of parents as partners in supporting this mission cannot be over-stated. The balance of academic and vocational curriculum provision further enhances ATA’s mission and this is supported by a plethora of enrichment opportunities for students such as after-school subject clubs to support curriculum assignments, sports teams, the Duke of Edinburgh Award Scheme, debating society, music and art groups to name just a few, alongside many opportunities to undertake trips abroad. ATA offers new and wider opportunities to its students and their families, allowing them to achieve the highest possible results and to assist in the regeneration of their community. When Ofsted visited ATA to undertake a full inspection, it concluded that the provision of education is outstanding. Today, Lord Ashcroft continues to support the school, notably as Chairman of its Trustees and as its principal sponsor.